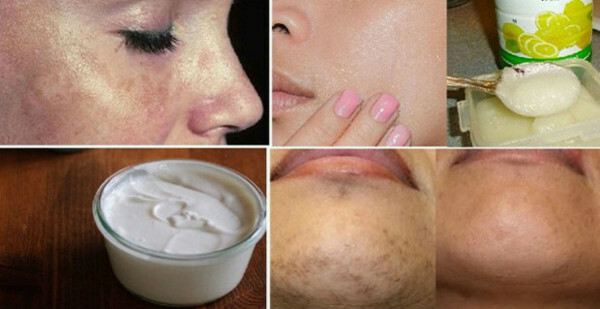 These Are The Best Natural Home Treatments For Eliminating Black Spots Forever! Black spots on the face are very uncomfortable and annoying and often can lead to low self-confidence. Even make-up cannot help in many cases. There are a lot of factors that can cause a skin change, such as hormonal imbalances, too much exposure to the sun, vitamin deficiency and pregnancy. Fortunately, there are also many natural home treatments that can help you eliminate the ugly spots of the face. Lemon is best known for its whitening properties due to the high Vitamin C compound. Squeeze 1 lemon and make juice, then soak some cotton balls in it. Put this cotton balls on the black spots and leave them stay till the juice is totally absorbed. In the end, wash the face with water. Repeat this procedure every day in a row for two weeks. The result will be visible in only two weeks. If you are having sensitive skin type, dilute the juice with rosewater and honey. The lactic acid that is found in the milk is reducing the skin pigmentation without causing any blemishes. Make a mixture of 2 teaspoons of tomato juice with 4 teaspoons buttermilk. Apply this mixture on the face and leave it for about 15 minutes, then wash the face. Repeat this 5 days in a row. Oatmeal powder is a perfect exfoliator. Make a mixture of 4 tablespoons lemon juice and ½ cap oats. Scrub this paste smoothly on the black spots 2 times a week. Soak some almonds into water through the night. The next day, peel them and blend them with water. Add ½ teaspoon of honey and 1 teaspoon of sandalwood powder and put it on the face. Leave it for half an hour then wash your face. They are very rich antioxidants. Slice some potatoes and put them on the face. Let them to act for half an hour and wash your face. Do this 2 times a week.